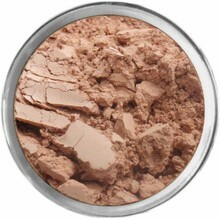 A Matte Bronzing Powder Perk up pale skin with this silky completely matte bronzing powder. This matte textured powder is easy to apply and provides a smooth satin matte finish...no glitter or glow! Contains all natural sunscreen to shield your skin from harmful UV rays.